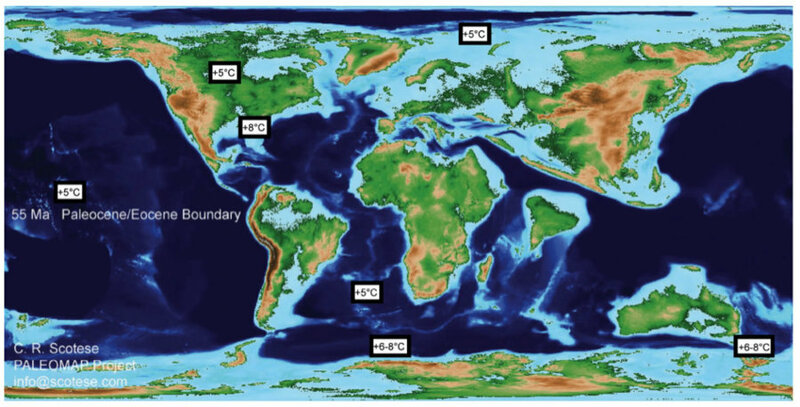 A recent study determined that the present carbon release rate is unprecedented during the past 66 million years. In the present, humans are releasing carbon dioxide ten times faster than the last similar event, which leaves experts without a historical analogue to guide predictions for climate changes and its repercussions. The Palaeocene–Eocene Thermal Maximum (PETM) was a mysterious event that led to the release of the highest concentrations of carbon dioxide in the atmosphere ever known, even higher that they are right now, as reported by the Washington Post. As a repercussion, the planet proceeded to warm rapidly, at least in geological terms, and caused major deaths among some marine organism followed due to strong acidification of the oceans. The changes affected about 5 degrees Celsius warmer from pole to pole. The difference between the PETM and the present is that the past event lastest over 4,000 years to reach troubling levels, but now the emissions go even higher. The new study estimates that during the PETM the volume of carbon entered to the atmosphere was between 2,000 and 4,000 million tons, only about 1 million tons of carbon emitted per year. According to current data, scientists said that right now humans are emitting about 10 billion tons annually, an emission that speeds the whole global warming process and leaves researchers without any possible prediction based in past times. “Given that the current rate of carbon release is unprecedented throughout the Cenozoic, we have effectively entered an era of a no-analogue state, which represents a fundamental challenge to constraining future climate projections,” concluded researchers from the study published in Nature Geoscience. Researchers highlighted two main conclusions for the possible climate changes. The first one is that ocean acidification will be more severe than 66 million years ago, and ecosystems may be hit harder because of the rate of carbon release, said Richard Zeebe of the University of Hawaii at Manoa, who led the study. He added that not only the world has started to see the changes that will result from current warming, but there may be other changes that lack any ancients parallel, due to the current rate of changes. To reach these conclusions, researchers examined ancient sediments off the coast of Millville, New Jersey. The looked at the chemical composition of the sediment layers that were laid down million of years ago, which contained clues to the planet’s climate history. They focused in carbon isotopes, that represent new carbon coming into the climate system and oxygen isotopes which represent the climate’s response to this pulse of excess carbon, according to Mashable.